If you’re just finding out about Our/Los Angeles Vodka brand, dont worry we have you covered. You can even check out their distillery in downtown LA for a tasting and tour. In the meantime, here are all the details to impress your friends at home! Our/Los Angeles, a distillery in the Los Angeles Arts District and the sixth micro-distillery in the Our/Vodka family, is the first vodka brand ever in the history of the spirits industry to have both a global and local identity. Each location is part of the global Our/Vodka brand, but each city has their own distillery and uses ingredients sourced as locally as possible without compromising on quality. Our/Los Angeles is now available across Southern California retailers including BevMo, Cost Plus World Market, Total Wine & More, Bristol Farms, Albertsons, Pavilions, and Raley’s. “Traditionally, alcohol brands are either craft and operating out of a micro-distillery or mass produced before being shipped around the world. 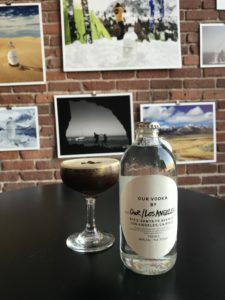 Our/Los Angeles operates under the Our/Vodka family of 6 distilleries worldwide, but each city is run independently as its own brand with their own micro distillery, that distills conforming to the same global recipe but using ingredients sourced as locally as possible without compromising quality. This means people can resonate with the brand around the world but drink locally in each city, although the bottles all look the same, each city has local characteristics that differentiate it from other cities in terms of flavor profiling and brand positioning. For example, the Londoners (Our/London) have positioned their brand as ‘vodka for wine people’ whereas Our/Los Angeles is more about a celebration of the all that is iconic to this city and the LA lifestyle.” said Anton van der Woude, Partner, Our/Los Angeles. With this new brand in town, the perfect solution to try them out is clearly to host a cocktail night with your closest friends. You could invite neighbors you’ve been wanting to impress. Here is the perfect night in cocktail designed by Our/Los Angeles. Let us know how it goes, we’re sure you’ll be the host/ess with the “mostess” as they say. A rosemary sprig for garnish. 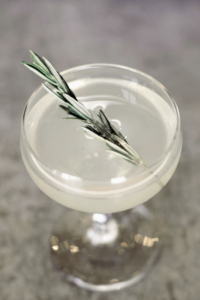 In a mixing pint add Rosemary infused Our/Los Angeles Vodka, Dolin Dry Vermouth, and Pernod Absinthe. Add ice and stir. Strain into a chilled cocktail coupe and garnish with a fresh rosemary sprig. In a mixing shaker add simple syrup, dash of cinnamon, blackberries and muddle. Add Our/Los Angeles Vodka,lemon juice and ice. Give a shake and strain over fresh ice in a rocks glass. 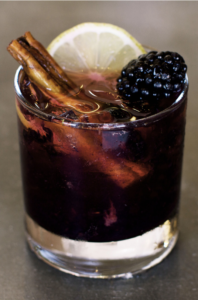 Add a blackberry for garnish. In a mixing shaker add ginger and lemongrass pear syrup and muddle. 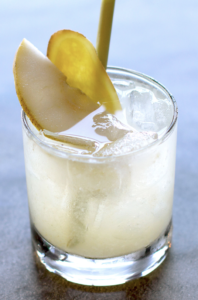 Add Our/Los Angeles vodka, lemon juice, ice and shake. Strain into a rocks glass over ice. Garnish with a pear slice and piece of lemongrass. For lemongrass pear Syrup – Bring 1 cup water and 1 cup organic pear juice to a boil. Add 1 cup organic sugar and reduce heat. Stir until sugar has dissolved. Add 1 cup fresh chopped lemongrass and let sit on low heat for 30 minutes. Remove from heat and let cool to room temperature. Strain lemongrass and refrigerate.